Search engine giant Google is on an acquisition spree. The Mountain View-headquartered company has just acquired Kaggle, the biggest data science community and the ultimate platform for data science competitions. Anthony Goldbloom, Co-founder and CEO shared the acquisition news via a tweet. 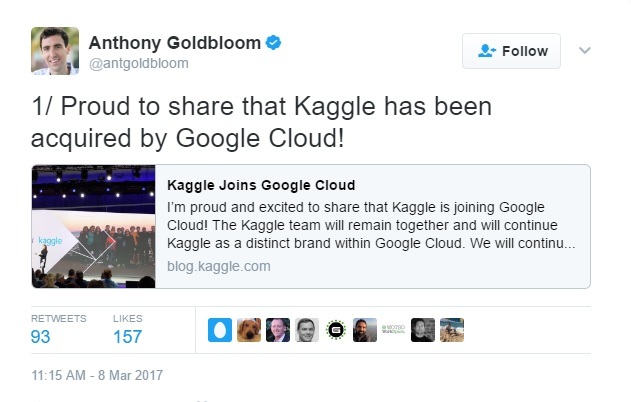 By joining forces with Google Cloud, Kaggle “combines the world’s largest machine learning community with the world’s most advanced ML cloud,” Goldbloom tweeted. 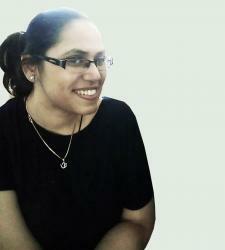 The move was spurred with an aim to democratize Artificial Intelligence. Fei-Fei Li, Chief Scientist at Google Cloud AI and Machine Learning shared in her blog entry that the acquisition is a way of lowering the entry barrier to AI and make it available to a larger audience – developers, users and enterprises. Li further emphasized the importance of Kaggle underscored by its 800,000-strong thriving community. “Kaggle is used by more than 800,000 data experts who use the platform to understand what’s going on in machine learning and data science, explore and analyses datasets. You want to know and analyze about public datasets, Kaggle is the best place to start with and, build machine learning models and grow your data science expertise,” she shared in the blog. The buy-out will foster more intense competitions, exciting launches and will also give users direct access to the most advanced cloud machine learning environment, according to Goldbloom. Kaggle’s past alliance with Google was the recent $100,000 prize money machine learning competition that was about classifying YouTube videos. 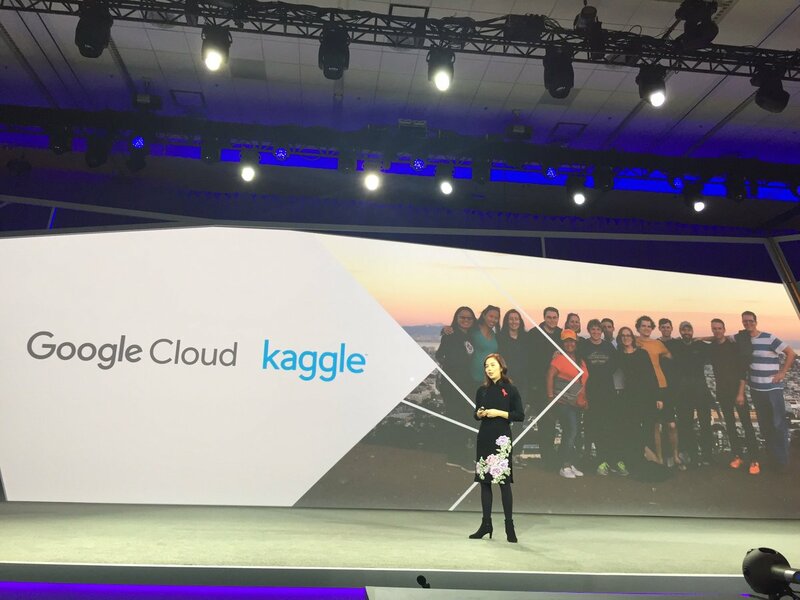 The search giant joined forces with Kaggle community to speed up research in large-scale video understanding by giving Kaggle participants early access to the Google Cloud Machine Learning (Cloud ML) beta platform. The competition was about developing develop classification algorithms that accurately assign video-level labels using the new and improved YT-8M V2 dataset. Kaggle was founded in 2010 by Ben Hamner and Anthony Goldbloom and as a means to enable companies, researchers and statisticians to post their data and compete and produce the best models. The Kaggle competition serves as a stepping stone for budding data scientists to move up the ladder and significantly sharpen their machine learning skills. Since its launch, the San Francisco startup has bettered its track record of providing solutions to real-world problems across the domain, such as NASA, Wikipedia, Ford and Deloitte among others.